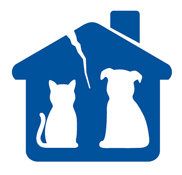 Our mission at Lost Our Home Pet Foundation is to keep pets in loving homes when families face major life challenges. We provide compassionate alternatives to abandonment with support from the community and the real estate industry. Our vision is a world in which all pets have loving homes and are treated with dignity and respect. 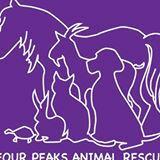 Four Peaks Animal Rescue is a non-profit organization dedicated to the rescue, rehabilitation, training and placement of animals in need of care in Maricopa County, Arizona. Golden Bone Rescue & Rehab. Inc.
Golden Bone Rescue & Rehab. Inc. is a no kill organization dedicated to the rescue and rehabilitation of abandoned, neglected and abused animals and thoughtfully placing them in safe and loving foster and permanent homes. We are committed to promoting local spay and neuter programs, which ultimately eases needless suffering in our animal community.